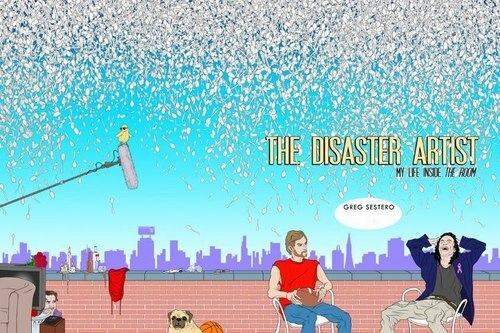 Greg Sestero isn’t a household name — but you probably know who he is, and you’ve likely seen him on screen for the midnight showing at a theater near you. Most people know him as the backstabbing best friend of Johnny (played by director Tommy Wiseau) in the insane cult classic, The Room. 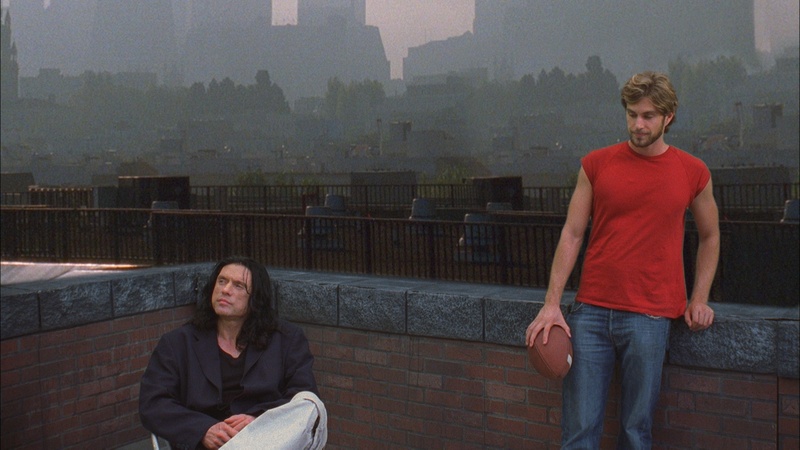 Lauded as “the Citizen Kane of bad movies” (one reviewer said watching it was like “getting stabbed in the head”), The Room is a cinematic train wreck that has achieved Rocky Horror Picture Show-esque cult status. We got the chance to interview Greg about the movie, his new book, and to finally set the record straight as to whether Tommy Wiseau is an alien or a vampire. So how did you and Tommy Wiseau meet? We met in an acting class in San Francisco back in 1998. He was performing this Shakespearean sonnet and it was just so… far out. It was unlike anything I’d ever seen. I was at a point where I was at rock bottom and I figured this guy could bring me out of my funk — so I asked him if he wanted to do a scene together. How would you describe his acting style? Kinda bonkers. There’s no real method — he’s just such a unique person that everything he does is original and different. I think that comes through in the movie… he doesn’t really follow any rules or protocol. He just goes for it. Insanely. 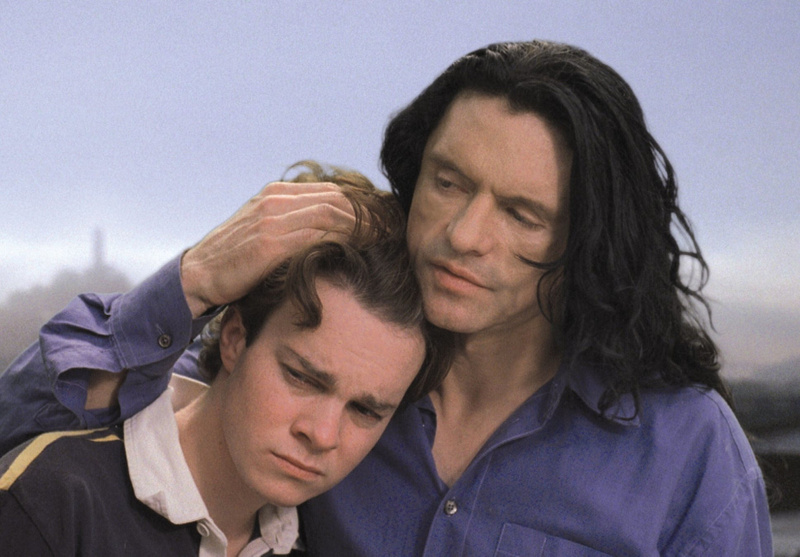 We read in your book that the screenplay for The Room was born after Tommy watched The Talented Mr. Ripley. Yeah, I think he had tried for a while to do the Hollywood game — he got headshots and auditions, but kinda realized they would never really see him the way he wanted to be seen. After watching The Talented Mr. Ripley, it jumpstarted him to create his own drama. There were numerous inspirations along the way — he said most of the people and pieces of dialogue are literally from his own life. You got roped into playing Mark after the original actor quit. When so many other people gave up, why did you stay? Actually, the original actor didn’t quit. Tommy just didn’t think he was qualified to perform the love scenes… whatever that meant. The night before filming, he made me an offer I couldn’t refuse. I just figured I’d do it and nobody would see it. But you never reached a breaking point where you wanted to be done with it? No, because I’d known Tommy quite a while, and a lot of the crazy antics that the crew and cast experienced, I was well accustomed to. I knew it wasn’t coming from a bad place… just a lack of sense, of communication. But he was so innocent and genuine. I wanted to help him make his dream come true and, when you’re young, I think you let things slide for a lot longer than you would otherwise. Speaking of crazy antics… tell us about an average day on the set of The Room. It was the combination of someone who thought he knew what he was doing with a bunch of people who thought he had no idea what he was doing. So, every day was just surprising. You never knew what was going to happen next. Why did you shave halfway through the film? My favorite line in the movie is "Oh hi, Mark." What's yours? There was a part in the opening scene where Johnny refers to his boss as “Old Man Donkey.” I really wish that had stayed in the script. Outside of that, there’s a lot of gold in that movie. There’s the idea that Tommy Wiseau himself is just a character. Really, I’ve never met anyone more genuine or committed to who he is than Tommy. There’s no break and no joke. There’s no fake at all in it. I think that’s what makes The Room phenomenon so interesting. It’s authentic and people keep waiting to hear that it’s all a joke, but it’s just never going to happen. Everyone always asks where Tommy is from… I want to know why he won’t tell anyone. I think it’s because he wants to be seen as American. That’s all he’s interested in talking about. But there was a Reddit post with some pretty convincing evidence that he was Polish. It’s tough to say. When it comes to all that stuff, I’m going to leave it to him to reveal when he’s ready. I kinda let him exist the way he wants to exist. Tell us about your book The Disaster Artist: My Life Inside The Room. Has Tommy read it? It’s about Tommy and how this terrible movie became a success story, and the whole surreal American dream — getting what you want, and dealing with that dream coming true. Tommy refers to it as “The Red Bible” and says he likes 50%, and the other 50% he’s not sure of… whatever that means. We heard a film adaptation with Seth Rogen and James Franco is currently underway. Who do you want to play you in the movie? For a long time, I was thinking Ryan Gosling. Maybe Javier Bardem. I think he possesses a Tommy-esque quality. James Franco has some really good range. I think the casting process will be really fun. I’ve also been approached to write a sequel: what happened after, the friendship with Tommy, the cult. What about the Home Alone sequel you wrote when you were 12? Is it true John Hughes sent you a letter? Yeah. I really loved Christmas. I became really obsessed when that movie came out, I had all this passion… and I wrote a screenplay with myself as the lead role. I took it really seriously and sent it out to Twentieth Century Fox. Looking back, it was exciting to receive the letter, but I was really sad the movie wasn’t going to happen. I thought it was my ticket out of seventh grade. I’m doing a full-length feature right now with the guys from 5-Second Film, called Dude Bro Party Massacre 3. It’s a comedy homage to eighties slasher films with Patton Oswalt and Andrew WK — It’s gonna be a lot of fun. Back to the Future. It still holds up, I can watch it at any point. One of the most perfect screenplays you can get. Have you seen The Big Lebowski? I went to Lebowski Fest last weekend. What’s cool about that movie is that it’s very cult-y, but it’s also really good and has some of the best actors around. It’s funny with The Room — because it has none of that. They’re still both truckin’ along for very different reasons. The Room has this weird appeal that you can’t find anywhere else, and if you want to show your friends a good time, look up when The Room is showing and get that guaranteed look of abject shock on their faces. It’s such an alien piece of art. That reminds us — do you think Tommy is an alien or a vampire? I think he’s a little bit of both. Like an undead creature from Mars? What does he keep in those huge pockets of his cargo pants? It’s a little bit of everything… eye gel… hair clips. Who knows now? He might have a whole new inventory. Okay, tell me something about Tommy Wiseau that no one else knows. He hates farting. He hates when other people fart — says it’s absolutely disgusting. And, just like that, the last item on Jeremy Glass' bucket list was crossed off. He is dead now.